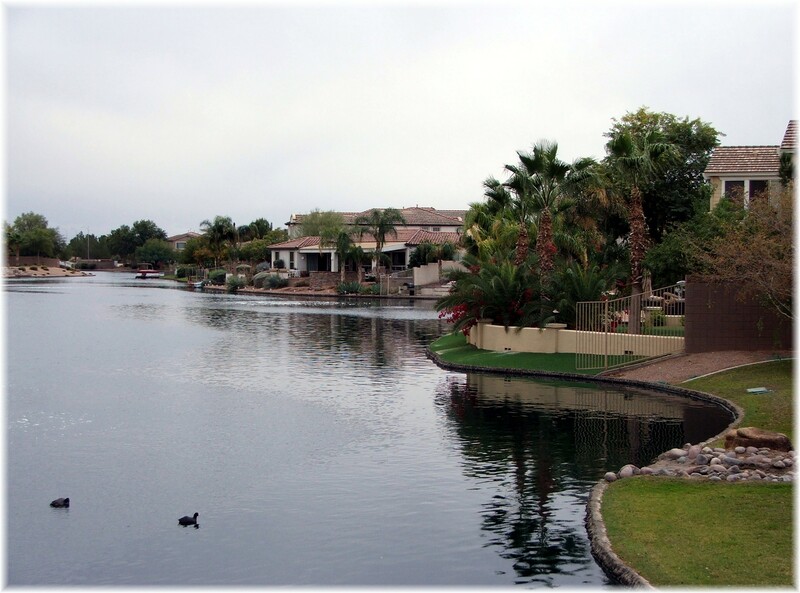 Chandler has more lake communities than any city in the Phoenix valley. And of the Chandler waterfront subdivisions, Pinelake Estates is one of the newer lake commmunities next to Fulton Ranch. If boating on the lake is important, Pinelake Estates should be on your list. Homes in the community were built by Schuler, Shea, Trend, and DR Horton between 2002 to 2005. 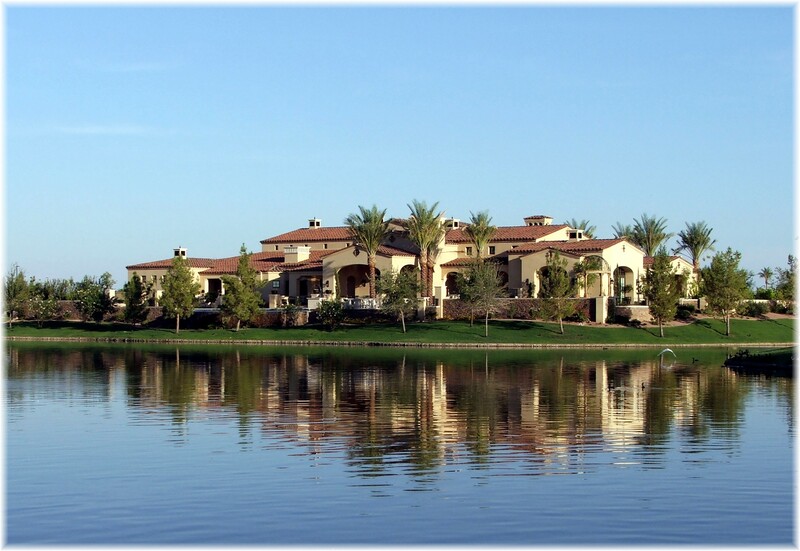 If you count the individual Chandler waterfront communities, you’ll easily be in excess of 25 Chandler lake communities. Many of them are part of the overall Ocotillo Community Association. Many of these are well know Ocotillo lake communities such as Balboa Point, Embarcadero, Cantabria Shores, Bridges at Ocotillo The Vista at Ocotillo, The Penisula, and Crown Point. This post will give anyone interested in Chandler waterfront homes a good overview of the available options. Some of the most coveted luxury home locations are those in lake communities with a waterfront view. Very few waterfront or lakefront homes are being built with the slowdown of new home subdivisions. A luxury home on a waterfront lot makes a fanastic combination that provides the owner with a unique oasis setting in the desert. The following luxury home links list waterfront homes above $500,000 in various parts of the valley. Are there basement homes in the Phoenix area? As of this writing there are 635 listings for homes with basements in the Phoenix metro area, out of a total of 25,941 listings for single family homes. Less than 2.5% of the total homes available for sale have basements. Those that have moved here from other states, which is about everyone, always ask why the scarcity of basement homes. You’ll certainly get a variety of answers. Read on for the real reasons! 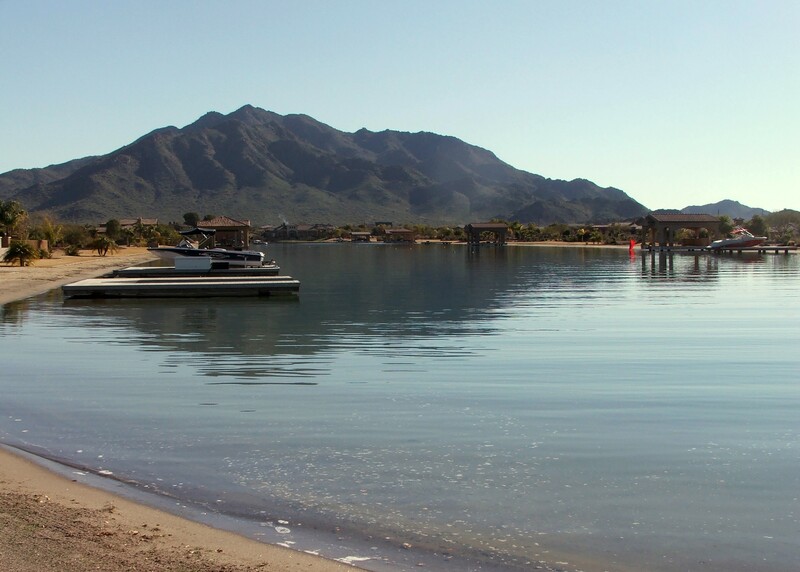 Instead of focusing exclusively on one water ski lake community, let’s take a quick look at an overview of lakes that allow water skiing and wake boarding in the Phoenix valley. These are different from the majority of lake communities because the water has to be “full body contact” quality. The HOA may also require the owner to become a member of the AWSA and the community ski club. It may be the equivalent of taking a sleep aid pill, but read the CC&R’s so you’re not surprised when you learn you are required to carry $1,000,000 of comprehensive personal liability insurance related to the lake and the activities thereon. I received a call from another agent asking what the incremental market value was of a waterfront or lakefront home versus a similar home not on the water. In many of the tax records, it discloses a premium paid by the original owners. The initial lot premium for a waterfront lot charged by builders in The Islands and Ocotillo Lakes might range from $30,000 – $45,000, which represented more than 10% of the initial home cost. While the builder was able to charge a premium for the lakefront lot, it would be interesting to know how the resale market values a waterfront home.